One of the worst possible scenarios in air traffic is having a random chatterbox sitting next to you without you being able to avoid their constant conversation. Fortunately, this conscientious cheeseburger strategically placed his safety belt over his mouth to prevent it from happening in the first place. 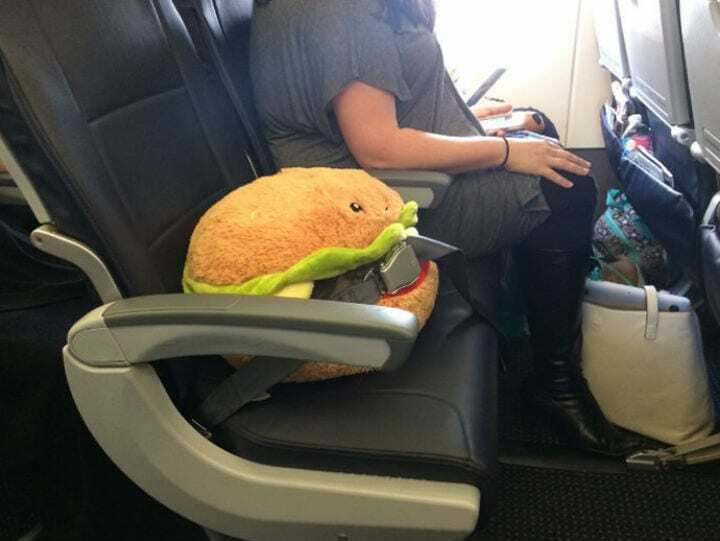 One has to wonder if there is only one free space left or if the emotional support of the cheeseburger has personally bought another seat that was not kept for a snack on the flight. According to the gentleman who caught this invaluable snapshot, he explicitly chose Wi-Fi on board so he can upload this image as fast as possible. Honestly, we totally understand.